Chefs Warehouse at Beau Constantia is all about keeping things fresh, fun and a little flirty, making it perfect for a first date in Cape Town. And with their signature experience being tapas for 2, it’s almost like it was meant to be! Plus, the fact that this incredible restaurant is situated at the top of the Constantia Valley, ensures you get to enjoy one of the very best views in Cape Town too! Besides sharing a great view with your first date partner, you also get to enjoy some spectacular food. Boasting a seasonal and produce-driven menu that changes regularly you can expect some delicious combinations, bold flavours and a top-notch dining experience. And not to mention the impressive wine list that accompanies it! Thereby promising a truly memorable evening! From the wine valley to the beach-front, if you’re looking for a first date lunch or dinner location with a laid-back beach vibe, stunning sunset and ocean views and truly sensational seafood, all just a few strides away from the beach, Ons Huisie is the perfect place for you! Boasting delicious traditional West Coast cuisine, indulgent home-made breads and an impressive wine list and an unbeatable beach-front location, it really is well worth a visit. The friendly, relaxed and chilled out vibe, certainly also takes the first date edge off. Plus, the fact that it is located a mere 5metres from the beach means it’s perfect for a post-meal first date stroll on the beach, thereby stepping the romance factor up a notch! It’s not known as one of the best sunset spots in the Mother City for nothing! If you’re looking to do things a little differently and replace your first date dinner with a delicious breakfast and laid-back coffee at one of De Waterkant’s trendiest breakfast locations, Hemelhuijs is certainly a top pick! The ever-changing, thoroughly modern and whimsical decor of this breakfast oasis in the CBD boasts a creative seasonal menu bursting with flavour and options, you might just be tempted to order a few. But one thing is for certain, this Cape Town inner-city breakfast hotspot will give you and your first date partner all the morning goodness you need for a beautiful day out exploring the Mother City. Thereby potentially making it the perfect start of an extended first date of discovering some more hidden gems Cape Town has to offer. Because who ever said a first date should JUST include a meal? 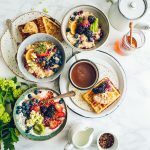 Thriving, thrilling and maybe even a little mysterious, if you’re looking to add a little adventure to your first date, the trendy Test Kitchen is sure to do that and a whole lot more. Yes, the two of you are in for the mother of all trendy eatery treats! The Test Kitchen is bold, contemporary and experimental and the world-renowned Chef Luke Dale Roberts promises to take you and your special someone on an inventive and truly life changing culinary journey you both will never forget! You’ll start your adventure in the Dark Room, boasting an array of inventive globally inspired tapas, only to finish it in the Light Room where beautifully plated mains are served. Ranked 22nd in The World’s Best Restaurant Awards in 2016, as well as Best Restaurant in Africa at The World’s Best Restaurant Awards, The Test Kitchen definitely won’t disappoint! So, if you’re looking to impress on your first date, this is it! A fairy-tale restaurant for a fairy-tale first date? Why not! FYN Restaurant, located on the 5th floor of the Speakers’ Corner Building, creates the perfect mood and atmosphere for a romantic first date. With beautiful awe-inspiring ceiling decorations, beautiful contemporary finishes and a charming fairy-tale like ambiance, this Cape Town restaurant promises to set just the right romantic first date scene. Besides the stunning décor, at FYN you’re encouraged to check your assumptions with your coats and join them on a journey of flavour discovery, thereby promising to be something truly unique. Boasting an African-inspired menu, with an overarching Japanese aesthetic, FYN makes for an utterly seductive (and delicious) combination of tastes, flavours, textures and styles for a truly unforgettable dining experience. There is certainly no shortage of incredible seafood restaurants in Cape Town, and the harbour front Den Anker is definitely one of them. Located in the ever-charming and always-vibrant V&A Waterfront, Den Anker boasts the most spectacular Table Mountain and harbour views for a lunch time date, but at night is when the real magic happens. The reflection of the twinkling lights in the water is certainly something pretty special and creates the perfect romantic first date ambiance. Den Anker’s shared mussels is certainly a date night favourite, plus it might just be the perfect bonding experience your first date needs. So, sit back, relax, share some mussels, savour a glass of wine and admire the starry night sky and picturesque Cape Town view, sounds like the perfect first date, wouldn’t you agree? A fairy-lit courtyard, cosy and inviting interiors and a low-key cool vibe makes the Kloof Street House a top-notch choice for a romantic first date in Cape Town. The ever-trendy Kloof Street is certainly known as one of Cape Town’s coolest streets, and the Kloof Street House certainly upholds the Kloof Street cool status, while still being charming and romantic too. Set in a magnificent Victorian house, Kloof Street House is an experience as enigmatic as it is intimate. Boasting crowd-pleasing French-inspired dishes and a brasserie-style menu that expresses both a love for creating delicious meals and a consciousness of the ingredients used and where they come from. The Kloof Street sharing dishes are also a fan-favourite and offer a host of flavours, designed to satisfy joint culinary cravings. Not only is Hotel Verde Africa’s first Greenest Hotel, it is also home to the spectacular Nuovo Restaurant and bar. Boasting a beautiful outside patio dining area overlooking the lush greenery of a tranquil wetlands garden, eco-pool and romantic walking trail, perfect for a pre or post-dinner stroll, as well as an intimate indoor dining area, this Cape Town gem is perfect for a first date in the Mother City. The menu features a wide selection of meals, placing focus on fresh, locally sourced seasonal ingredients as well as has some delicious vegan and vegetarian dishes too, ensuring there’s something for everyone to enjoy. But if you’re looking the amp up the romance factor, booking a first date dinner reservation at Nuovo Restaurant on a Wednesday evening will do just that. This is because every Wednesday night Nuovo Restaurant joins in on the Earth Hour initiative where they switch off all essential lights and replace them with solar jars to create a mesmerising atmosphere, therefore besides playing a part in reducing your carbon footprint, you also get to enjoy a romantic evening with your someone special. What’s more romantic than securing a dinner reservation at one of the most sought-after restaurants in Cape Town, and La Petite Colombe situated in the sensational Franschhoek Wine Valley is certainly one of those. So, if you’re looking to make a grand first date gesture and sweep that special someone of their feet this is it! The classically-inspired yet modern-executed cuisine is some of the best in the country, plus you have the idyllic Franschhoek backdrop to set the romantic first date scene. 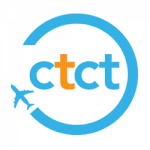 And while it might be a little while outside of Cape Town, the extra travel time is certainly well worth it! The only catch is, they’ve been pretty much fully booked since they opened (yes, it really is that good) so you might need to plan ahead for this one! If you’re looking to add a bit of swanky style to your first date, the old-world, Gatsby-esque charm of the Shortmarket club is sure to do just that. There’s just something special about this iconic Shortmarket Street spot that makes it the perfect place for a romantic first date, maybe it’s the intimate leather booths, swanky yet chic and edgy ambiance or chef Wesley Randles’ stellar food, but a night at the Shortmarket Club promises to be one neither you nor your special date will soon forget. Plus, the fact that Shortmarket Street is one of the Mother City’s most vibrant streets, means that there are some really cool hangouts and trendy cocktail spots that are perfect for a post-dinner drink. With such an extensive range of incredible, romantic and award-winning restaurants on offer, Cape Town sure knows how to make a first date extra special. But regardless of which Cape Town restaurant you choose for your romantic first date, the Mother City promises to add an extra touch of magic and special dose of romance to the mix, because there’s nothing like spending a morning, afternoon or evening with someone special in one of the most magnificent and exciting cities in the world. Looking for more ideas on restaurants for first dates in Cape Town? 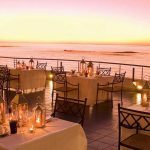 You can also check out our list of the best romantic accommodation in Cape Town for your second, third and first dates! 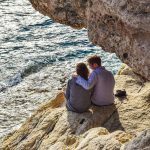 If you’re looking for fun activities to do with your new date, we offer fun tour activities that will excite you both. 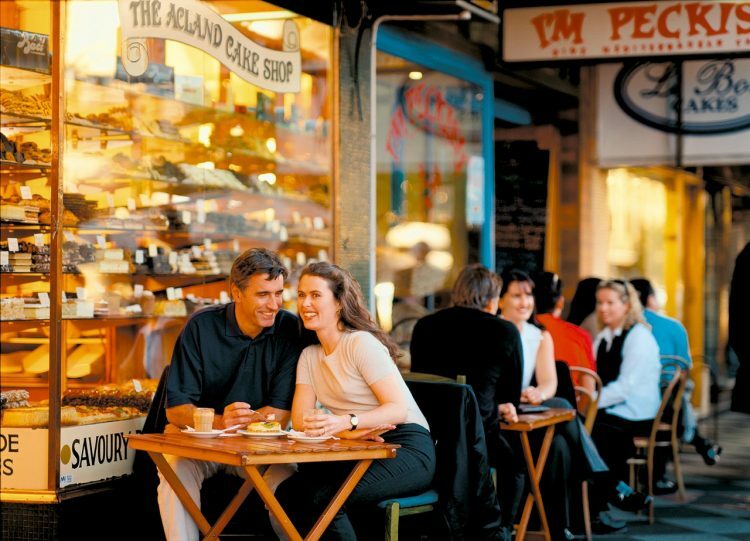 We’d also love to hear from you – tell us your best restaurants for first dates in Cape Town? Share your tips and ideas below and let us know! 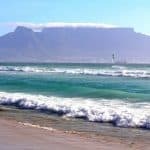 Why Visit Bloubergstrand Cape Town?